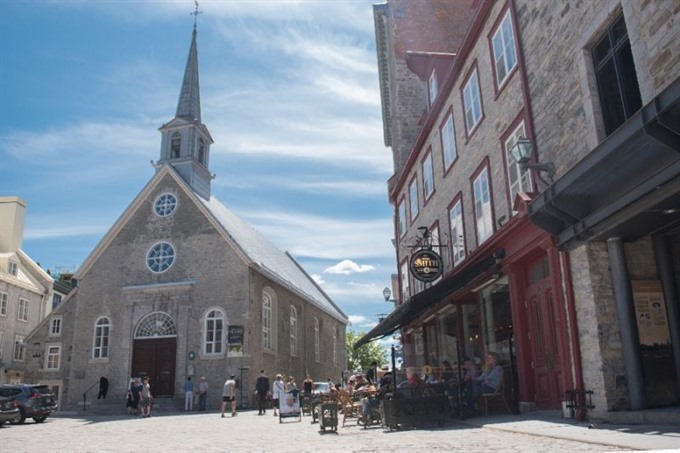 MONTREAL — Archeologists in Canada’s Quebec City have found a well-preserved relic of the settlement’s first fortifications built by French settlers more than 300 years ago, they said yesterday. The foundations of the palisaded ramparts date from 1693 and are about 20m long. They were uncovered during initial construction work at a residential project in the city, whose old quarter is a World Heritage site. Built by 500 troops and residents of Quebec, these fortifications consisted of "a wooden frame made of massive pieces of cedar cut with axes", Pintal said. "It’s a major discovery for Quebec City but also for all Quebec," said the French-speaking province’s Premier Francois Legault, who underlined the "exceptional" conservation of the material which was buried in clay. The ramparts will be recovered from the earth and the wood dried in an operation that will take two years. They will then be put on display. Nathalie Roy, Quebec’s Minister of Culture, called the palisade "priceless," while Mayor Regis Labeaume said it was "one of the secrets" that needed to be cleared up about the city’s history. "There remains a big one," he added, "and that is the tomb of Champlain." Samuel de Champlain founded the city in 1608, and Pintal has given himself one year to find his resting place, the mayor said. Quebec’s historic district, unique in North America, is considered "a remarkable example of a fortified colonial town" by UNESCO, the United Nations cultural agency which includes the area on its World Heritage list.